Professional mechanics and DIYer enthusiasts understand to have a quality scan tool. A high-quality scanner can save lots of money and headache as well. That’s why most of them use the most sophisticated diagnostic scanners on the market. Not every scan tool will carry out a diagnostic test on every car. But most of the best scan tools are able to perform a test on almost all cars. For instance, the Autel brand creates code readers that are considered to be among the best. The Autel md802 all systems scanner can read/erase codes, Live data, Freeze frame, DTC look up, Retrieving I/M Readiness status, OIL reset service, EPB, O2 monitor test, Component test, ON-board monitor test, Viewing vehicle information, Modules present and much more. Read this Autel md802 review to know more about this scanner. Broad Vehicle Coverage: Nissan, Infiniti, Toyota, Lexus, Scion, Honda, Acura, Subaru, Mitsubishi, Suzuki, Isuzu, Kia, Daewoo, Mazda, Holden, Bens,Hyundai, Smart, Sprinter, Maybach, BWM, Mini, VW, Seat, Skoda, Audi, Opel, Land Rover, Volvo, Porsche,Jaguar, Saab, EU Ford, Ford, GM, Chrysler, Peugeot, Vauxhall, Citroen, Renault, Dacia, Fiat, Abarth, Alfa-Romeo, Maserati, Lancia. Their diagnostic scanners are built with cutting edge features that make diagnostic tests to be easy and quick. In this Autel md802 Review article, we will explain why this is one the best scan tool. 3 Why you buy Autel md802 Multifunctional Scan Tool? 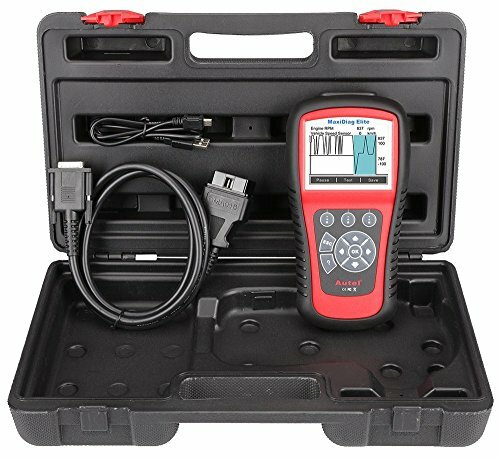 Thus, depending with your needs, you will find a diagnostic scanner that you love and has the features that you desire from Autel. For now, we are going to review the Autel md802 car diagnostic scanner. This scan tool has all the features that a person can wish for in a powerful odb2 scan tool. The Autel md802 is a powerful obd2 scan tool with excellent features that gives the user an easy time performing diagnostic tests. The device has 50 plus module coverage, and automatic VUN acquisition. In addition, the diagnostic scanner comes with a carrying case for proper storage and longevity of the tool. It has a large colored LCD screen that enables the user to read the graphs and codes with much ease. Other outstanding features that the tool has include live data graphing for all modules, and performs oil light/ maintenance reset. Why you buy Autel md802 Multifunctional Scan Tool? Finding a device that works on most of the cars is no easy thing. But the Autel md802 is an excellent automotive scan tool that supports domestic, Asian and European vehicles of model 1996 or newer. Simply connect the device well on your respective car and carry out the diagnostic test. Some obd2 code readers are very difficult to use and have difficult to understand interface. But this scanner comes with a simple to understand menu and doesn’t need any training for the user to get started. Also, it just uses one-click to get rid of all the trouble codes. Many professional mechanics love code readers that they can handle easily during repair work or when servicing the car. This obd2 scan tool is compactly created to fit well in the hands of the user and give them ample time during use. In addition, it has a nice grip that allows the user to hold firmly as they view the results of the test or graphs. For commercial use, mechanics need an obd2 device that works fast and saves them time to carry out different assignments. This model from autel is regarded as one of the fastest obd2 scanner on the market today. It allows the user to perform a very quick diagnostic test. For individuals who own several cars or mechanics that have clients with varying car brands and models, this scanner can prove to be helpful to them. This is because this diagnostic scanner functions on different car brands and models domestic, Asian, and European from 1996 or later. This will in turn prove to be less costly than having several obd2 scanners. If you need cheap scan tool then check this Bafx 34t5 bluetooth scanner. This code reader is reliable in that it has the capability to read, erase and guide the user. This feature makes it to be distinct from other obd2 scan brands and models being sold. There is no need t worry if you want to move around with this powerful obd2 scanner. This is because it is lightweight and compact for simple storage and use. Also, it comes with a carrying case that ensures the tool is kept safely after use. Every professional mechanic or DIYers love a scan tool for cars that can easily read and erase codes without much trouble. This model from autel will provide you with quick results and you won’t struggle to use it. 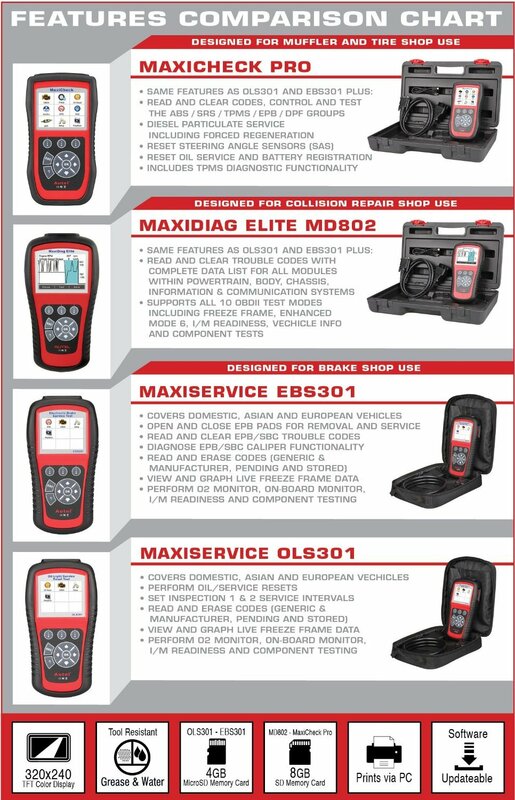 Not all the diagnostic scan tools on the market can support all the 10 test modes of the latest J1979 OBD2 test specs. But this autel model has the capability to do that. So when you acquire this gadget, you will be able to test all the 10 modes. What is the importance of acquiring a quality scan tool that you can’t view its figure well. The autel md802 is an excellent car diagnostic scanner that allows the user to view codes, figures and graphs being displayed on it. It is large and colorful for excellent views. It screen similar like the Autel Maxicheck Pro. Some devices come with complicated menus making it challenging for users to use the obd2 scanner. With this model, the mechanic or motorist will have an ample time reading the menu as it is very simple to comprehend. Everything is named and the user won’t have a hard time using it. Finally, it’s important to acquire a scan tool with at least one year warranty. A warranty not only shows how the manufacturer is confident in their product but also it is an indication of a quality product. Autel offers one year free internet software updates to buyers of the product. These Autel maxicheck pro and md802 scanner price almost same. You will find similarity in their functionalities too. If you are looking for a great odb2 scanner from Autel brand, then the Autel md802 is one of them. This compact and simple to use automotive diagnostic scanner has great features that offer the user a wonderful experience. The display screen is large, it has simple to use menu and easily reads and clears codes. In addition, the scanner is very reliable and efficient in use. I hope you have enjoyed this Autel md802 review. Get this car scan tool for your different range of cars.